Ryan Vachon and Dan Zietlow of Provare Media, a full service production company specializing in science communication, have joined CSTPR as Research Affiliates. Ryan Vachon earned his Ph.D. in climate science and geochemistry in 2006. For 15 years, Ryan travelled to Greenland, Alaska, the Andes and the Himalaya researching changing climate. In the 2000’s Ryan directed his professional goals to include raising awareness to human’s connection and interactivity with natural systems. For over a dozen years his media has been broadcast on the National Geographic, History, Discovery, CNN, BBC, PBS, NOVA and MSNBC channels. In 2015, he produced, edited, directed and hosted a science education program, Adventures in Science, which was decorated with an Emmy Award nomination. His hard work and mastery of film landed him an invitation to author to book Science Films@2018. 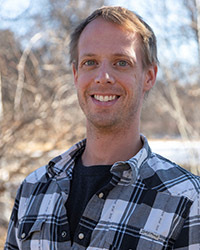 Ryan’s expertise is in using film to convey complex subject matter associated to natural resources, ecosystems services and human interactivity with natural environments. He largely relies on classic documentary filmmaking and scripted broadcast television methods. 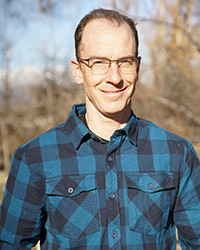 Dan Zietlow earned his Ph.D. in geophysics from the University of Colorado, Boulder in 2016. He specialized in seismology, studying how the Earth’s lithosphere deforms around active faults. Specifically, Dan combined data collected from ocean bottom instruments with land-based data to study deformation around New Zealand’s Alpine fault. It was during the completion of his doctorate that Dan began forging a path within creative science communication. Currently, he is working on Adventures in Science, a show for pre-teens that examines the interface between nature, humans, and informed decision making. Dan is excited to collaborate with CSTPR to develop unique ways to engage audiences with conversations about the environment, policies, and decisions through film.